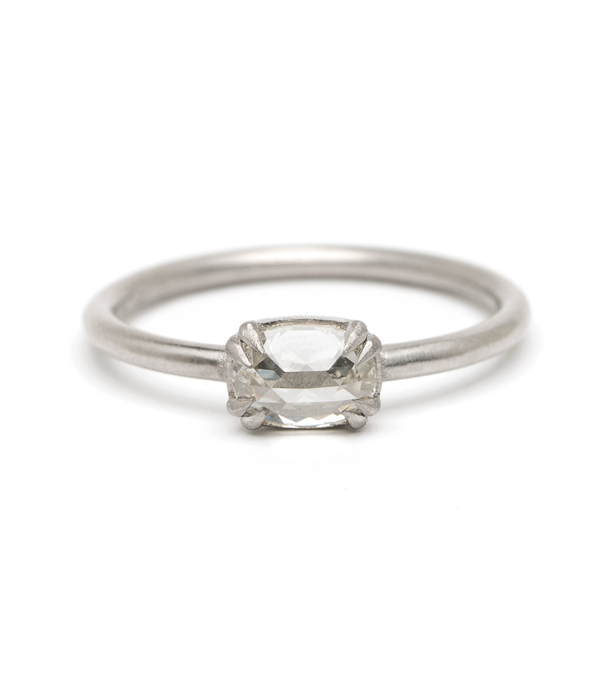 As cool as it is classic, this matte platinum, oval rose cut diamond engagement ring was designed with understated simplicity in mind. 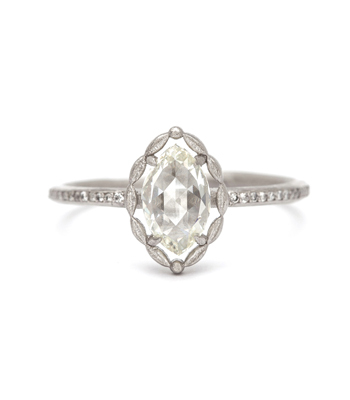 One, oval rose cut diamond (0.60 ct) is elegantly set in an east-west setting on a smooth round band. 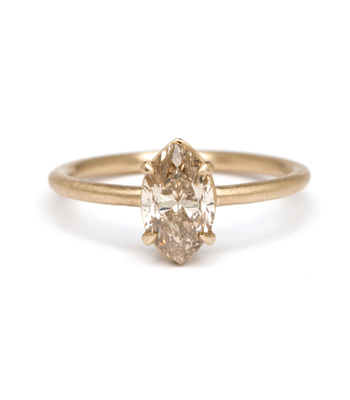 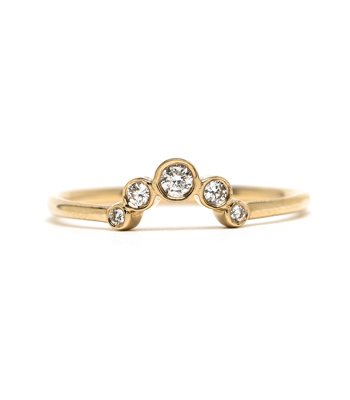 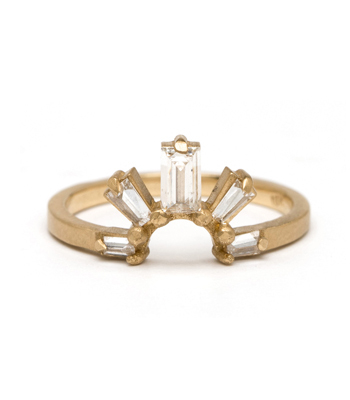 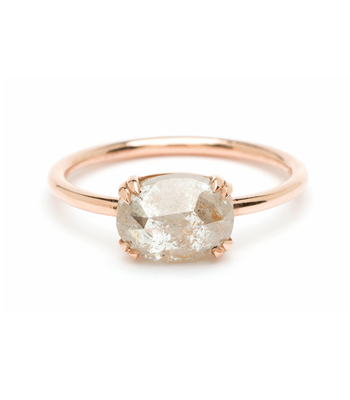 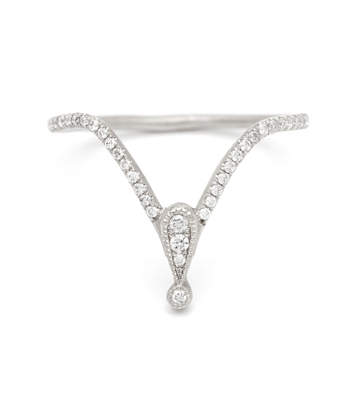 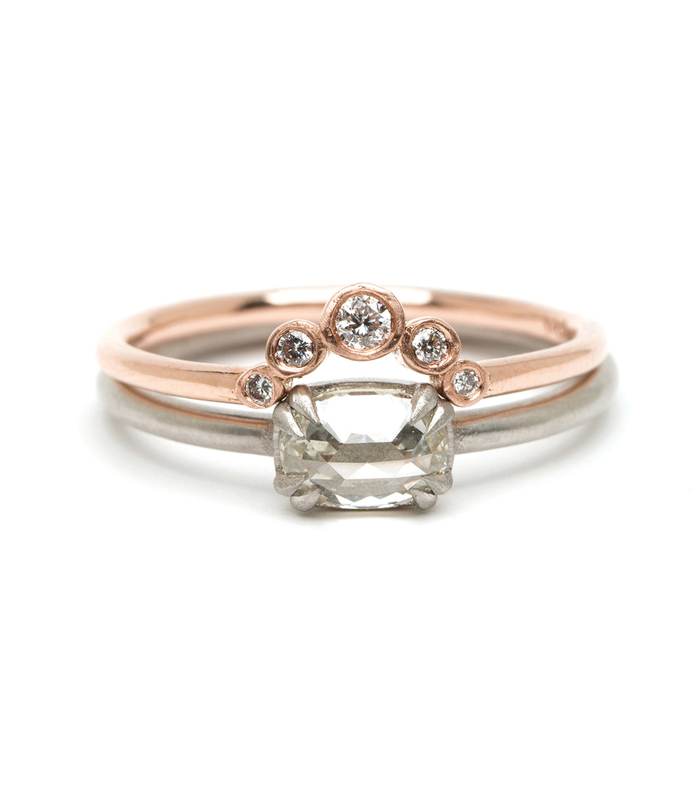 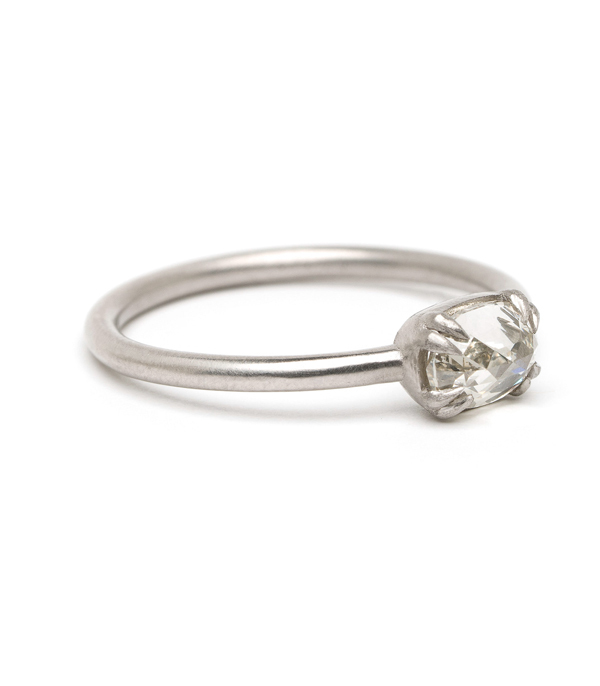 This ring was made for a “Timeless Glamour” bride who appreciates a twist on tradition.